You're invited to CCEDNet's 2019 Annual General Meeting (AGM)! Please block the following meeting date and time in your calendar now. Read more about Join us for our 20th Annual General Meeting! Seeing as we are celebrating the 20th anniversary of the Canadian CED Network this year we thought it was high time to update the logo under which we have flown for much of our history. Read more about Unveiling the New Canadian CED Network Logo! Nominations are currently being sought for two positions on CCEDNet’s Board of Directors with mandates ending at the 2020 Annual General Meeting. At this time, the Board is particularly seeking candidates with legal, human resource or communications expertise, though anyone with energy and a vision for the CED movement in Canada is invited to submit their candidacy. The Canadian CED Network is Hiring! 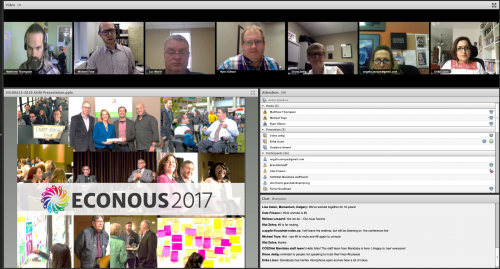 The Canadian CED Network is inviting applications for the position of National Conference and Engagement Coordinator. Read more about The Canadian CED Network is Hiring!